Thanksgiving is almost here, and that means it’s time for family, food, and most very importantly, wine! There are plenty of lists telling you which wines to purchase this Thanksgiving, so we decided to poll some of the best & brightest experts to find out what ends up on their turkey day tables. Take a gander at their recommendations below, and be inspired to wow your guests with your wine choices this year. Cheers! An excellent opportunity to eat + drink + family! These wines will be an integrated component of the experience, rather than the experience, so, be playful. Pop the cork on wines that are budget friendly and incredibly delicious, thirst quenching, and friendly to a variety of palates. Enjoy! For Thanksgiving I separate this into two categories: there’s the family wines (found easily, common varietals, just good wine) and then there’s my friend wines (small wineries, interesting countries, and hard to pronounce varietals). Now that we have that established, check out Dan’s family/friend plan below [Thanksgiving Red Wine]. Pairing wine with the medley of flavors that adorn the Thanksgiving table can be a challenge. Well here’s one reason to give thanks for bubbles. So often we think of sparkling wine as a pre-celebration sipper, but frankly, nothing pairs better with a range of flavors than sparkling wine. While Champagne is the obvious choice, this year I’m looking to the north of Italy. No, not sweet simplistic prosecco, which can be great for a summer afternoon, I’m looking for wines made in the traditional method from traditional varieties. Get the recommendation below. Franciacorta: Try Franciacorta. This growing area (DOCG) has been producing outstanding sparkling wines in the traditional method since 1961. Sparklers from Franciacorta are primarily chardonnay, with some production of pinot noir and pinot blanc. Slightly more fruit forward than Champagne, Franciacoartas possess a great balance between fruit and acid, keeping them from the austerity that Champagne can sometimes present. Better yet, Franciacorta is almost always a great value. To learn more about Franciacorta, tune into my podcast “The Honest Pour” later this week when I interview Christina Ziliani of Berlucchi in Franciacorta. Bubbles: For me, Thanksgiving is all about bubbles and Grenache. What better way to kick off the holiday season than with a bottle (or 3) of sparkling wine to get the party started. If your budget allows there is nothing like the real thang (#ChampagneCampaign) but don’t be afraid to explore the wonderful world of global sparklers. Crémant du Jura, Franciacorta, Pét Nat are all fun and delicious styles that are generally sippable (or slammable should your Thanksgiving be particularly stressful) as well as great values. That’s two nods to Franciacorta! Bubbles // Petillant Naturel: While ‘Champagne!’ is always my first and most exuberant response to any inquiry about food pairing, parties, or which wines to serve, bubbles are an excellent option. A lovely Blanc de Blanc Champagne with brightness, finesse and piquancy is a perfect pairing. Or, go wild with a slightly less effusive and softer bubbler referred to as a ‘pet nat.’ All the cool kids are drinking this style of wine these days…adventurous, fun and funky. and two votes for Pét Nat (plus, all the cool kids are drinking it). Bubbles: Thanksgiving is a time to celebrate with family so why not break out the good stuff. There is a natural progression of the Thanksgiving day meal and it usually starts with beer and football. Then it’s on to the bubbly, we start with the dry stuff and save the sweet wines for dessert. Champagne: Because, of course. I do however prefer the bubbles that have a slightly more oxidative tone and oak for Thanksgiving. That with some stuffing is truly heaven. Riesling // Chenin Blanc: Dry or with a little bit of residual sugar, these classics belong on the holiday table. Piercing acidity to cut through the various textures and flavors on the table, cool and crispy with a flush of ripeness to round it out. Seriously. Do it. Pinot Noir: I recommend an elegant Pinot Noir that has bright acidity and gentle tannins. It is very important to seek out a Pinot Noir with these qualities, typically found in the cooler regions of California. The bright acidity brings out the juiciness in the turkey. The Classic red berry flavors from elegant Pinot Noirs will compliment any cranberry sauce, mushroom dishes etc.. The gentle tannins will not overpower the turkey or any of the side dishes that are prepared. An elegant Pinot Noir will compliment and add depth to your thanksgiving dinner! Pinot Noir and Beaujolais (For Family): The ‘Oregonian Revolution’ of Pinot Noir checks every box and is sure to pair with most “traditional” Thanksgiving cuisine. If you want to “stay classy San Diego” then look no further than (Ron aka Papa) Burgundy France, with Michel Gay Chorey-les-Beaune as an absolute must! And if you’re like me and know the US is going to explode very shortly, then why the hell not treat yourself to Fabien Desjourney Fleurie Beaujolais…Ummmmm tastes like Armageddon. West coast Pinot Noir, ftw! Grenache: As you gather around the Thanksgiving table and indulge in roasted meats and veg, herby stuffing, creamy mashed potatoes and then proceed to smoother everything in site with gravy, it’s time to call on trusty and delicious Grenache. This versatile grape can be found throughout the world and in different blends but the styles I think are the best complement to you Turkey Day feast-ival can be found in Spain, the Rhône and the U.S. Grenache is known for it’s notes of luscious red and black berries and savory spices with enough acidity to brighten your palate before your next helping of rich Thanksgiving fare. Grenache has great depth and complexity to play off the fresh herbs and spice elements found in your typical holiday spread but also a round and soft finish that keeps you coming back sip after mouthwatering sip. Bouncy Red // Thin Skin with High Acid: The best way to be playful with the pairing and create a smashing hit, is to go super simple. Crunchy red fruit, low tannin, thin skin and high acid are a killer combination. Consider quirky Italian wines such as Frappato, Bardolino, Chiaretto or the like! Or, Grenache is an amazing option, as long as the oak treatment or boozy quotient isn’t too much of a factor…South Australia, Southern France and California! Or, Gamay from Oregon can be an excellent addition to your selection! Rhone Blends: There are 2 types of wines that I can always rely on for Thanksgiving, Champagne/sparkling wine and red Rhone blends. The Rhone blends provide a mix of red fruit flavors, smokiness and rustic notes that play well with all types of food served at dinner. Greg & Leslie both say Rhone Blends! Zinfandel: May be surprising but this is a really fun wine to pair with holiday foods. Depending on its’ oak usage, Zins can have many similar spices to that cooked with Thanksgiving or Christmas dinner. Clove, cardamon, vanilla. The range in tart fruit and ripe to jammed fruit also lends to an ideal pairing with the many of the dishes that are usually served. Syrah: A darling of professional wine folk, but, often overlooked. I trend toward the savory and serious with low doses of oak. Madeira: For dessert, consider the glorious fortified beast that is Madeira. I consider this to be zombie wine, for it is maderized / fortified / heated / oxidized prior to bottling. It will last forever and ever. The flavors are unparalleled in the beverage spectrum, and, it is a delightful balance of zest, caramelization and nuttiness. Magical. Share the joy. Did we mention that you can find many of these wine styles at tayloredwines.com? Leslie LaRue Lamont is excited to show diners that wine doesn’t have to be snobby or incredibly expensive, but instead can be approachable, fun and simply delicious. To Lamont, wine tells the tale of the winemaker, the culture, the history and a single moment in time, and she looks forward to guiding diners through this story as the Manager and Sommelier at Leña Brava. 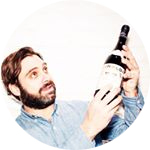 Lamont was on Zagat’s 2015 list of “30 Under 30” and Chicagoist’s 2015 list of Buzzworthy Sommeliers. Additionally, she is Level 2 Certified from the Court of Master Sommeliers. 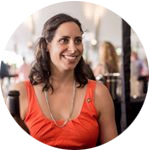 Rebekah Mahru is the beverage and wine director of City Winery Chicago. She’s a native Chicagoan and polyglot with quite the travel bug. So, becoming a sommelier was a natural extension of her many loves. Before choosing a career in wine, Rebekah traveled to dozens of countries as well as lived in Argentina, Germany, and Spain for extensive periods of time. She has been immersed in the culture of food and wine since her first restaurant job at the age of 14. Since then, Rebekah has worked in either the back of house or front of house of restaurants. She has been with City Winery for three years and with every day comes a new wine adventure. Adrian grew up on the northern coast of California and moved to Sonoma County, which sparked an interest in the origin of wine and the evolution from vineyard to barrel to bottle. His wine country location allowed him to conveniently study winemaking and viticulture at UC Davis’s extension program and take business management courses on the side. He put theory into practice at C. Donatiello and lent a hand at Peay Vineyards. Following, he teamed up with Micah and the two became business partners. Adrian’s intense drive and commitment are apparent in every detail of his work, from his relationships with the growers to the design of the labels to the overall quality of the finished product. 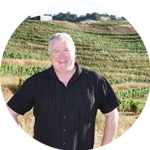 Dan brings over 19 years of epicurean expertise to DNS after a successful tenure in some of Califronia & Chicago’s most celebrated restaurants, resorts, vineyards and wine companies. Most recently, Dan served as Director of Restaurants for Trump Hotel Chicago and lead one of the most dynamic restaurants in the nation called Sixteen. He has worked with top chefs to orchestrate food and wine pairings that are inspired, whimsical & memorable and has extensive knowledge in the hospitality industry. Greg is co-founder and winemaker at Uproot Wines. He was born and raised in New York where he was exposed to the art of wine and the craft of winemaking at an early age by his home winemaker father. After a successful stint on Wallstreet, he decided to follow his dreams by moving to Napa to make wine in 2006. After honing his craft at Joseph Phelps, Cakebread Cellars and Vineyard 29, he and partner Jay launched Uproot Wines.